In 1872, William Benjamin Munson Sr., and R.R. Stevens purchased land and platted the town in anticipation of the arrival of the Missouri, Kansas and Texas Railroad (the Katy) which arrived on Christmas Eve of the same year. Denison was named for the vice president of the railroad. The town grew rapidly; when it incorporated in 1873 it had over 3,000 residents. In 1876, the XXI Club was established as the first woman’s club in Texas. By the end of the 1870s local businesses included two cotton compresses, a large flour mill, and a slaughterhouse capable of handling 700 cattle a day. The Denison post office was established in 1886. During the 1890s, Denison was served by three railroads, making it a commercial and shipping center for North Texas. The interurban electric line between Denison and Sherman was established in 1896. Denison was the birthplace of Dwight David Eisenhower, the thirty-fourth president of the United States. 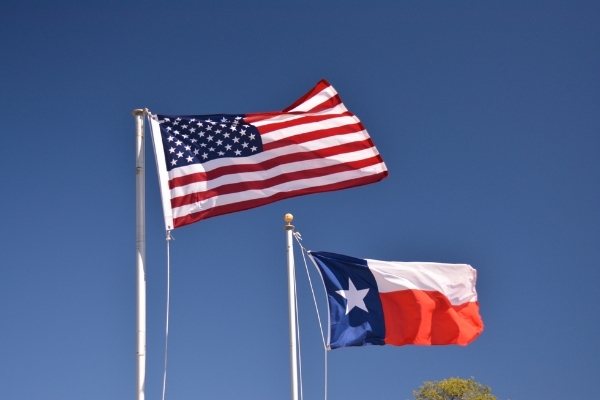 Denison is located 4 miles south of the Texas-Oklahoma state line at the intersections of U.S. 75, U.S. 69, SH 91, FM 120 and FM 1753, 66 miles northeast of Denton, 40 miles northeast of Gainesville, 26.4 miles northeast of Whitesboro, 11.5 miles northeast of Sherman, 8.4 miles east of Pottsboro, 28.7 miles northwest of Bonham, 20 miles northwest of Whitewright, and 43.8 miles north of McKinney, Texas. 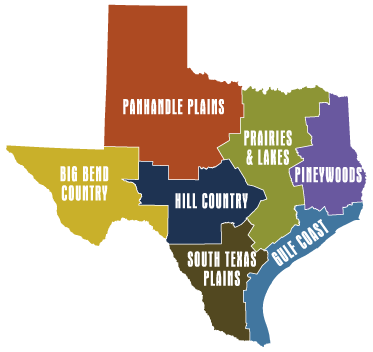 The twelve Texas Travel Centers are managed by the Texas Transportation Department (TXDot). All are staffed by professional travel counselors who help travelers with routings and provide information on points of interest, events, and road conditions. Open daily, 8am-5pm; 8am-6pm, Memorial Day through Labor Day; closed Christmas Eve, Christmas Day, Easter, New Year’s Day, and Thanksgiving. Travelers can also call the toll free line, (800) 452-9292. Road conditions are available 24 hours a day on the toll free line; travel information is available 8am-6pm. The line also has information on fall foliage trails and spring wildflower trails. The Denison Center is located at 6801 U.S. 69/75’ (903) 463-2860. Downtown Denison is anchored at one end by the historic Katy Depot, the former Missouri-Kansas & Texas Railroad station, and at the other end by the site of the first free public school in Texas. Over 50 working artists are located in the downtown area including several nationally known artists who have opened galleries and working studios. Other businesses include a wine tasting room, an assortment of other art galleries, restaurants and cafes, antique stores and specialty shops. Denison’s Historic Driving tour covers 47 historic sites including houses, commercial buildings, a cemetery, a school, the Eisenhower birthplace, the YMCA, the Elks Lodge, and the 1910-1912 U.S. Post Office building. A brochure is available from the Dennison Chamber of Commerce. (903) 465-1551. 313 W. Woodard Street, 75020.